The biceps (i like to use them as example eheheh!!) have 2 origins in the bones in the shoulder area and 1 insertion on the radius bone in the forearm. The gastrocnemius (one of your calf muscles) has the origin on the femur bone (the thigh bone) and the insertion on the calcaneus bone. 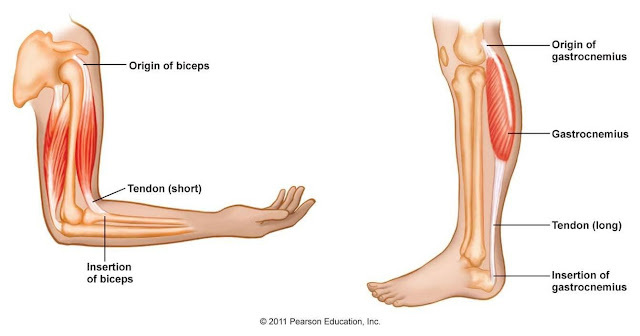 When the muscle contracts it will become shorter bringing nearer the attached bones resulting in flexion of the arm at the elbow in the first case, extension of the foot (technically this is called plantar flexion) in the second. Let’s make friendship with our body! Take your right biceps with the left hand, can you feel the soft middle part? That’s the belly of the muscle! It will be easy to follow all its shape up and down, can you? Going up towards the shoulder at a point you will lose it, there is the deltoid and the biceps will dive under! Now go down toward your inner elbow… can you feel that at a point the belly becomes smaller and harder? That’s the tendon! And then it goes down to attach to your forearm… you are in the insertion area! 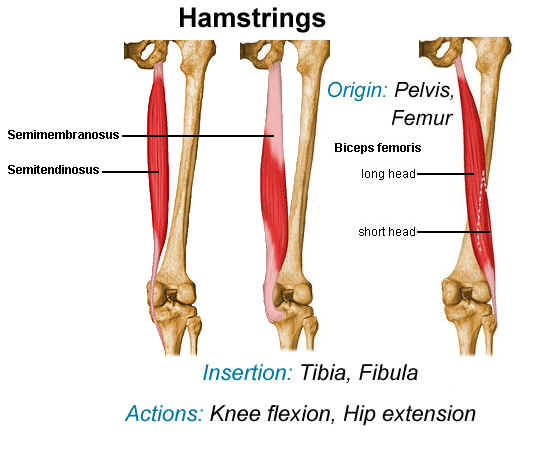 Now try your hamstrings, the muscles on the back of the thigh! They are a group of 3, all originating at your ischial tuberosities (those 2 bones you can touch under your buttocks! We call sitting bones because you should sit on them pointing straight down, maybe a little on the anterior side!). Let’s go back to your bent elbow… what to do if we want to bring it straight again? Should we ask to the biceps to “un-contract” and straighten the elbow? You can try but probably it won’t work… maybe you can relax the biceps, put a stick between forearm and upper arm and with the other arm operate the stick to unwind the arm… mmmhhh… it’s a bit complicated… and you always need a stick with you! 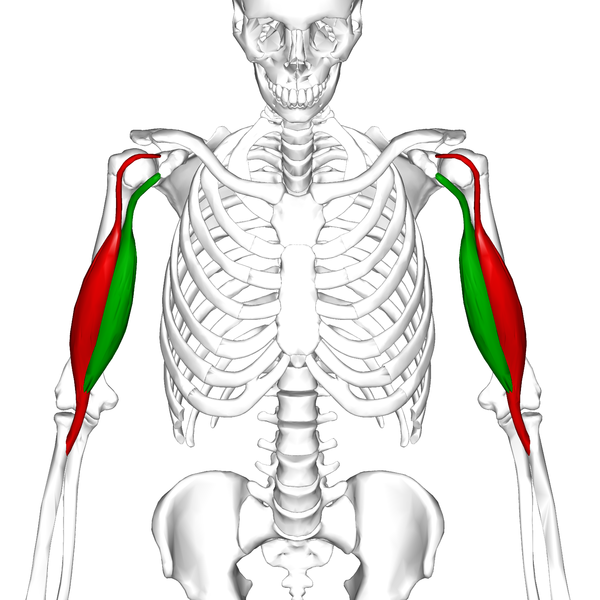 That’s why our muscles work always in pairs to achieve movement… in the upper arm case there are the biceps on one side that flex the arm… and there are the triceps on the other side that extend the arm. 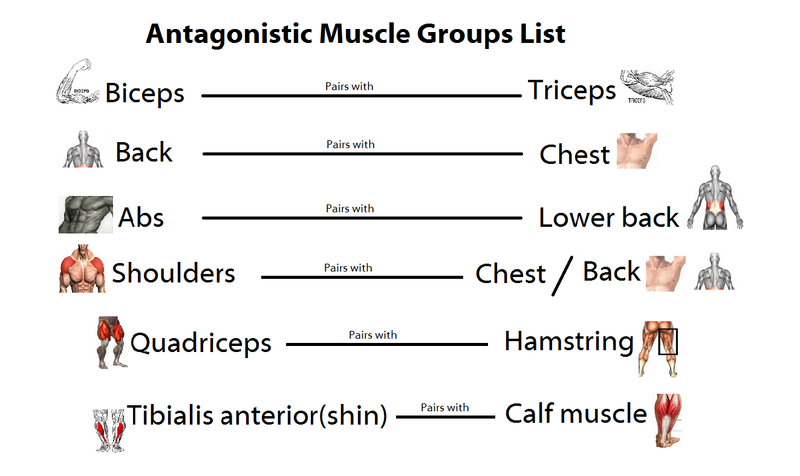 What is important is the concept: when i perform a movement there is a main mover (agonist) that contracts, at the same time there is an “opposite movement maker” (antagonist) that relaxes. We’ll explore more this relationship when we’ll talk of the nervous system! 4- Fixators: considering that all the body is interconnected, these muscles stabilize some part of the body while you are moving another part… imagine to be in a balancing pose and your balance is weak… probably half of your muscles will be engaged in trying to hold your balance eheheh!! Again a couple of videos to clarify all these concepts in your mind… i suppose that reading descriptions, looking at images, seeing videos combining descriptions&images is good enough to acquire these informations? I’m not sure why i can’t put the video player directly in the page! Let’s talk about the muscular system, again i’ll try to point only at those facts relating our yoga practice and not to become too encyclopedically boring eheheh! Our muscular system is made of more than 600 muscles, muscles are made of one of the 4 tissues composing our body… muscular tissue (as you know from a previous article, tissues originate (as anatomic definition!) when cells with a similar function organize together to perform that function http://www.yogatrains.org/2013/08/12/biology-and-union/). 3- Cardiac, striated muscles that work on an involuntary basis, the tissues composing our heart! 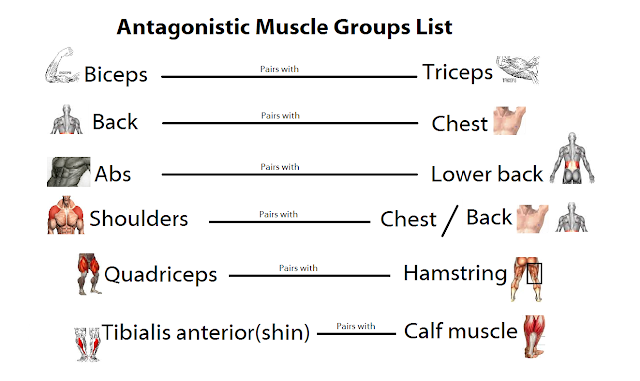 Here i’ll refer mainly to striated/skeletal muscles! 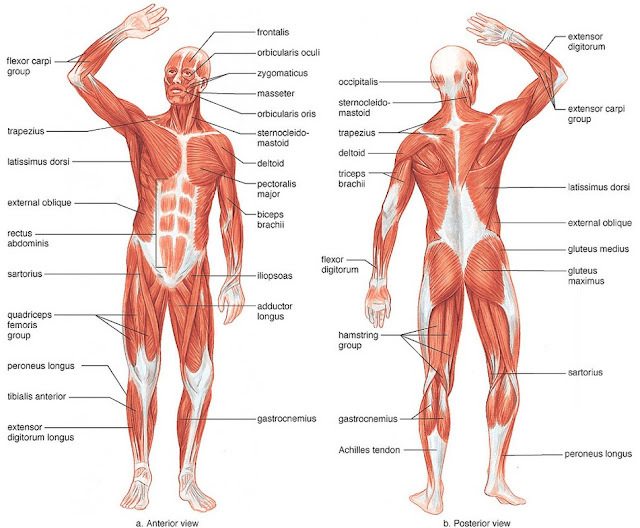 What’s the basic structure of our muscles? 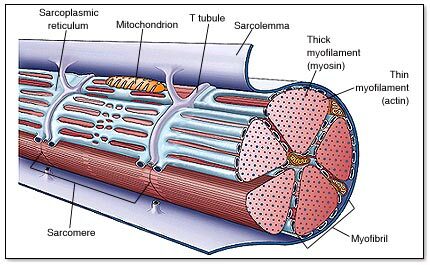 In a few words muscles are composed of many strands of tissue called fascicles that in turn are made of many strands of muscle fibers that in turn are made of many elastic “strings” called myofibrils that in turn are made of filaments called myofilaments! It’s made of many strands of a certain material bundled together, in the same way as our muscles are made! 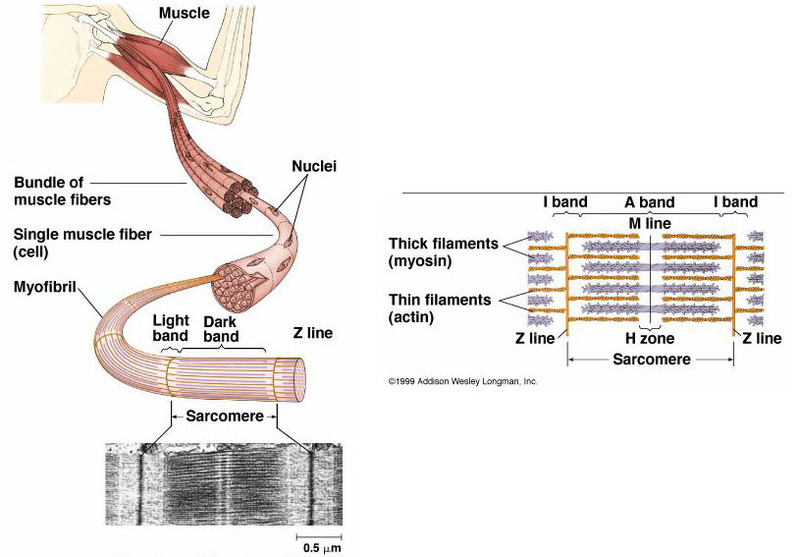 There are myofilaments that together make myofibrils (the basic muscular string, as you see in the rope picture), many myofibrils are bundled together in a strand called muscle fiber, many muscle fibers are bundled together in a strand called fascicle, many fascicles are bundled together to form a muscle… easy isn’t it? Sharing the same structural concept ropes and muscles both have the quality of tensile strength, you need a good amount of force to break them while stretching their extremities! 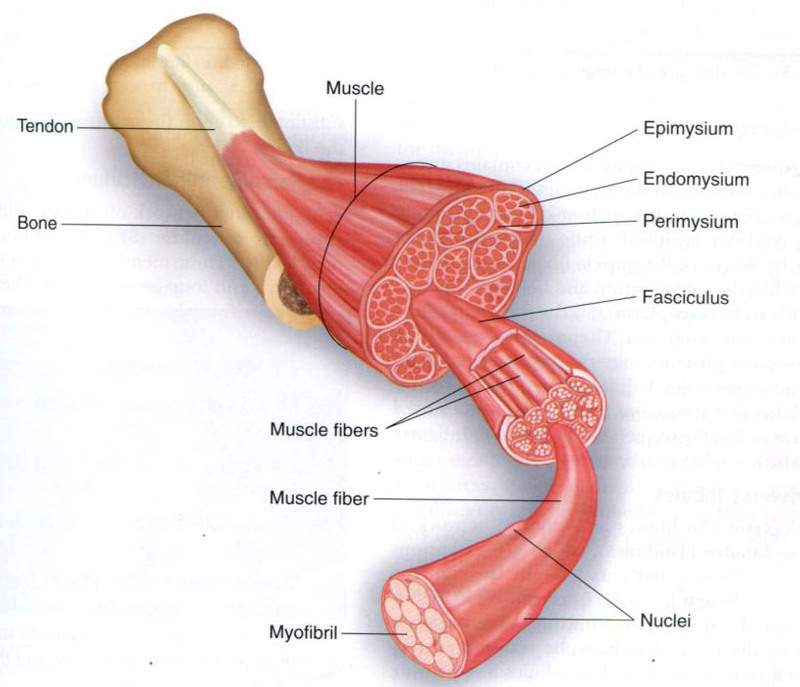 What can a muscle do? Well, not many options… it can contract / relax / be stretched! when contracted actin and myosin will slide on each other shortening the muscle… the shortening of the muscle will originate a movement between adjacent bones at a joint (obviously i’m talking here of an isotonic contraction!) (http://www.yogatrains.org/2013/08/04/joints-introduction/). Have a look at these 2 videos, i’m sure they’ll clarify all this explanation in your mind! Don’t try to understand everything, in some part are very technical… just get what you get ehehe!!! 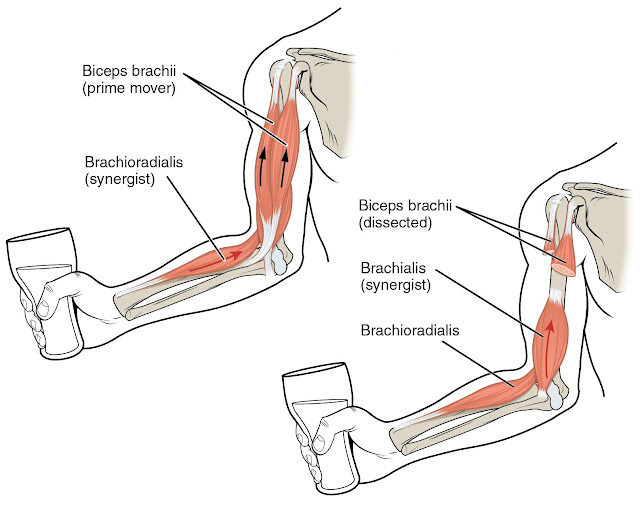 The overall contraction of your muscle depends by how many sarcomeres are contracting at the same time… everyone has only 2 options: contracted or relaxed. It’s not possible for a single sarcomere to be slightly contracted… that will happen on your muscle when maybe 25% of the sarcomeres are contracted… obviously 50% is half of your possible contraction on that muscle and 100% of the sarcomeres contracting will result in your full contraction of the muscle!! The usual wednesday’s class will be advanced to today 19/8… from tomorrow i’ll be off to Italy and the next class will be the 11th of September! It will be focused on strengthening the body and gaining control on our muscles to expand our choice of possible movements. There will be some experimentation to implement new ideas i had from a course i attended in the weekend!!! It will be in Brick Lane area, Heneage Street 16-18, at the Rag Factory, postcode E15LJ, there are yoga mats so don’t worry, bring yours only if you like it, class will start at 19 (come some minute before) , 12 pounds for a 2 hours long class! We talked about us as the union of trillions of cells, organized together for a common purpose called life! You have seen some of the trillions of cells constituting your body, i’ve put more images so you can make an idea, in 2 of them there are short descriptions of the organelles functions. 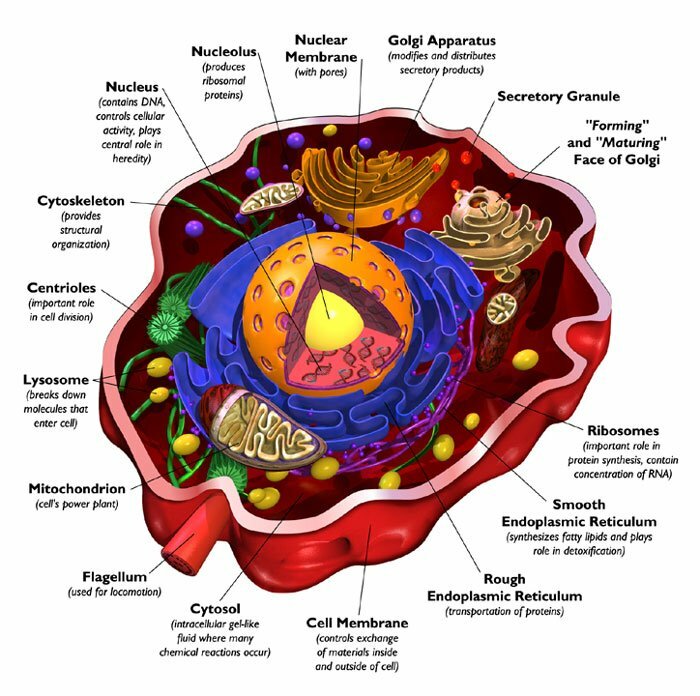 Cells are the smallest living unit, they’re a very small replica of your body (or maybe your body is a big replica of your cells? ), with a central processing unit (nucleus), different organs to achieve all the necessary functions (organelles) and something holding all together (plasma membrane)… you are a bit more complicated but you have a central processing unit (brain plus nervous system), different organs necessary for your life (heart, lungs, liver, stomach, glands and so on) and something holding all together (the external lining is the skin but you have connective tissue absolving this function as well). Exactly as you need food to survive, your cells need to acquire some kind of nutrients and at the same time to expel waste. Cells live and die, they are constantly replaced by new cells, they need to reproduce… same as we do on the planet, we keep reproducing otherwise we would disappear in some time! The cell membrane is the perfect example of a structure balancing prana and apana, it contains the cell in while leaving the world out, it lets nutrients and required substances come in while it lets waste and unwanted substances go out… at this level everything is a kind of fluid, the cell membrane is a balance of containment and permeability, it protects while permitting something to pass through… if this barrier was too strong the cell would die by starvation (not enough nutrients coming in) or intoxication (too much unexpelled waste), if the barrier was too loose… well, can you imagine the liquid cytoplasm spilling out? I would say that yoga is very deeply connected with these 2 concepts, yoga as all the idea of life in general. – now, without doing nothing in particular, just holding this pose and being aware of your body sensations, try to connect with your spine, can you feel an upward movement of the spine (if you can’t feel the spine, maybe you can feel the torso or your muscles expanding) while you breath in? can you feel this sensation or this movement as an expansion? as an elongation? as an activation? – now breath out… can you feel the effects of this exhalation on your spine? can you feel it shortening? can you feel your body relaxing while you breath out? can you feel a sense of deepening? Did you feel it? On inhalation the pranic force is acting, on exhalation apanic force is acting, on inhale sthira is happening, on exhale sukha is happening… all your life should be a perfect balance between the 2, between containment and permeability, rigidity and plasticity, boundaries and space, between the “apparently” opposite attitudes “never surrender” and “always let go“. Life is a continuous mix and play of these 2 forces, almost all the original cultures noticed it and integrated in their knowledge as the chinese did with the yin-yang theory… here we risk to go in a side track, better to talk of it in a following post! Meaning that every posture (asana) should be steady (sthira) and comfortable (sukham) and this is exactly what we are looking for in every asana, to reach a balanced mix of grounding and mindful expansion, only at that point you will be in the asana… until that moment it will be only effort you are putting on the path to be there! This pose is Virabhadrasana 1, the warrior… can you see the elegance and the grace? Can you see the balance between the grounding apana and the uplifting prana? can you feel this pose as steady and comfortable? Of course the first time i tried it i was shaking in all my body and sweating from fingers to toes including the nose, my front thigh was far from being parallel to the floor and my back foot not really flat on the floor (considering it makes implicit a certain openness in the hips!) but when you gain the necessary qualities of balance, strength and openness this asana will be easy and possible to hold for long time without any discomfort, now you are in the asana! Tomorrow 14th august, i teach the usual class in Brick Lane area (London!). It will be a -not hard- class, focus on strengthening the body, gaining control on muscles to improve the choice of movements. We’ll blend some vinyasa with a more traditional Sivananda sequence, as usual we begin with breathing’s exercises and finish with long guided relaxation! It will be in Heneage Street 16-18, the Rag Factory, postcode E15LJ, there are yoga mats so don’t worry, bring yours only if you like it, class will start at 19 (come some minute before) , 12 pounds for a 2 hours long class! As usual i’ll try to teach you something, it will not be an ordinary “execute my instructions” class!! 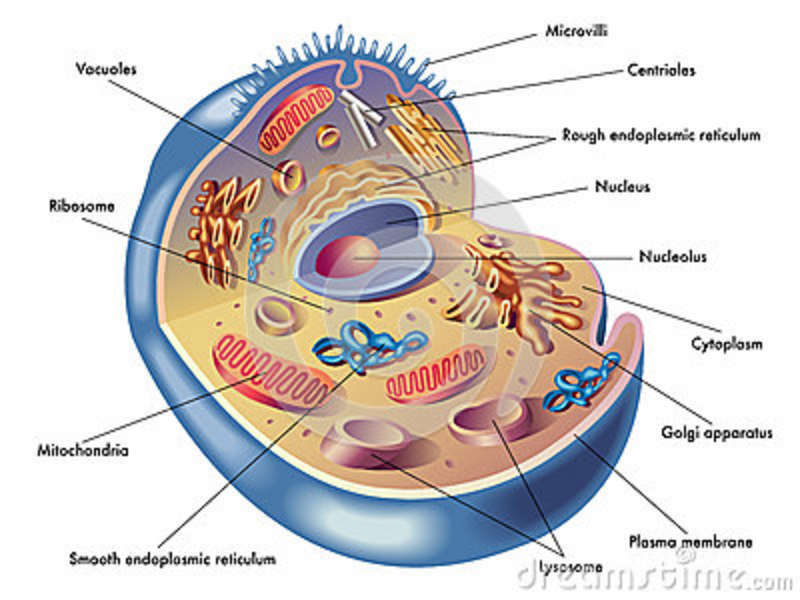 Biology is a natural science concerning the study of life and living organisms and all the related stuff. Anatomy is the study of the body and body parts. Physiology is the study of the functions of living organisms. Can you see the 3 as the same argument, from different points of view? Can you see biology as general container, anatomy and physiology as “blocks” of biology? Or maybe biology as a full study course and anatomy and physiology as 2 of the many exams you need to pass to become doctor in biology? So we have the main subject “life” that has been examined, divided and studied under different points of view to make a full systematic and organized study course… this organization is necessary for an easier approach and understanding… unless you like to have only one book, 15.000 pages, for tomorrow written assignment on page 1 to page 7.500…!!! Our body is a fully integrated organized whole… this is the only way we must consider it! Obviously if we want to understand it, its parts, its functions, how it grows, works, evolves and decays we need to spread the whole argument into different levels of organization. All around there are infinite atoms, the basic unit of matter, these are the bricks building everything… in the past they were considered the littlest unit… obviously even a brick must be made of something, so are atoms… but now we’re going to examine from atoms up! 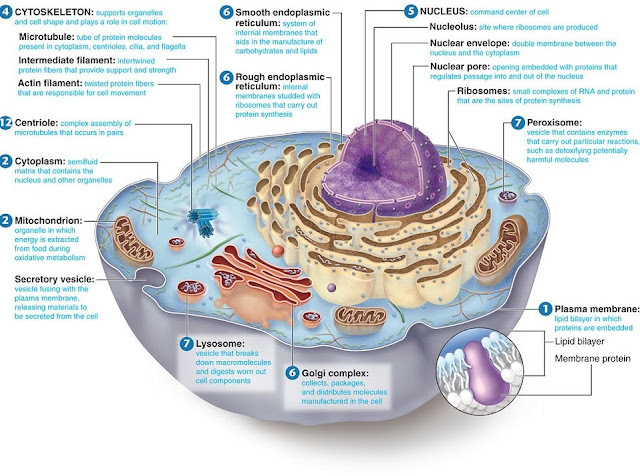 Atoms will join in molecules, than there can be macromolecules and organelles… and finally we get to the first step in the ladder of life: cells! 1- Cellular level. 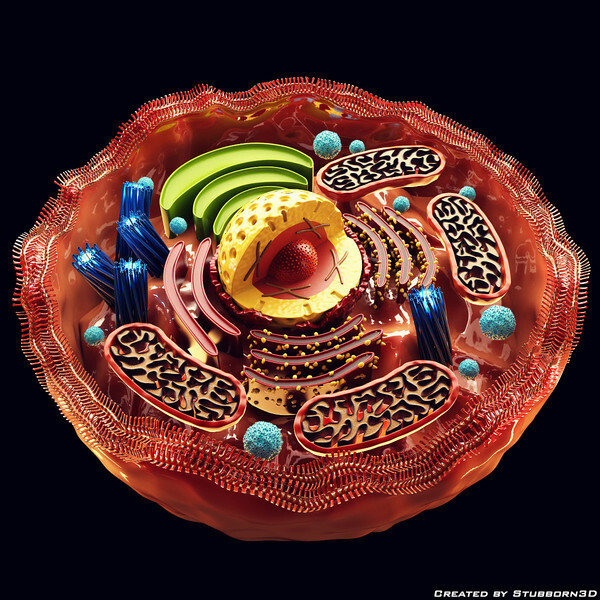 Cells are the smallest living entity constituting us, we are literally made by trillions of cells living in the same way we live, with the same needs… nutrients, energy, to expel waste, to reproduce and so on! 3- Organs. When different tissues organize together for a specific function they form an organ. Heart, brain, lungs, stomach… all organs, that means they’re different tissues organized together, every tissue formed by many cells with similar specialization. 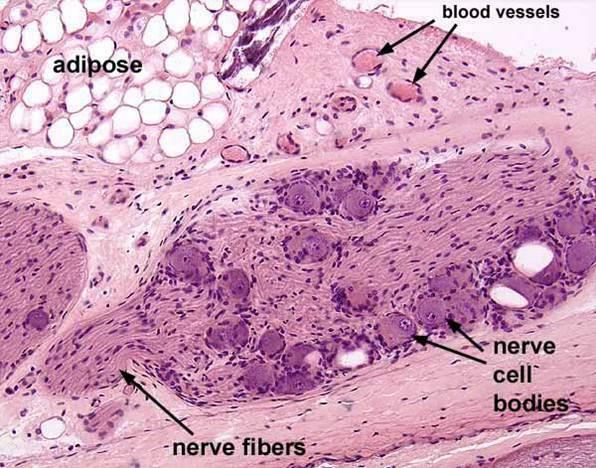 For example the stomach is made of epithelial tissue (the lining), connective tissue (blood), muscular tissue (that makes it contract to help the digestive process), nervous tissue (commanding and regulating all the process). 4- Systems. Groups of different organs working together for the same function are defined systems… the digestive system is made of esophagus, stomach, liver, small intestine, large intestine and other organs, everyone has a specific role, together they work to transform the food you get from outside, absorb the nutrients and expel the waste. Your bones are organs (yes, they’re made of different tissues so they classify as rigid organs!) organized together as a skeletal system to give you a shape, protect other internal organs and so on. Then we have the muscular system, nervous system, lymphatic system, respiratory system, circulatory system and more! 5- Organism. This is you! You are a living organism that is made by the union and the organization of trillions of cells in tissues, organs, systems to permit you to move, enjoy and support all the basic vital functions. At this point some considerations on who we are and what we are… for sure if you think enough you will answer that you are not any of your systems or organs or tissues or cells and at the same time you are all of them… what we are is really the living union of different living parts… at the same time these parts are the union of other living parts… until you reach a level, cellular level, that is the union of other -non living- parts as atoms or molecules… what is the difference between a cell and a molecule? 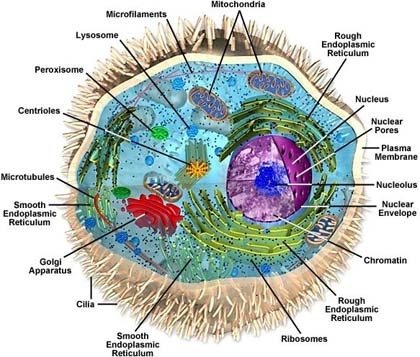 well, we could say that in a cell all the components are organized in some way for a combined result that is life, while in molecules there are only atoms bound together doing nothing. – we are the union of trillions of parts -again the concept of union, the the meaning of yoga! I told you, this is something i’ve to work on, so i’ll write some more about procrastination! You have a task to complete but you delay in doing it, even in starting it, preferring to do something less urgent instead or even going to the park instead or even doing nothing instead, maybe only lying on your bed looking at the ceiling. …well, almost 99% of the times, late start doesn’t give you benefits, not even that “i work better under pressure” that somebody keeps repeating his your mind… that’s only the sensation coming from adrenaline and all the other stuff released by the sympathetic nervous system when you’re on (perceived) emergency! Did you get this concept? Do you find yourself in this situation? How often? Procrastination is to voluntarily delay an intended course of action despite expecting to be worse off for the delay. There can be different causes as disliking the task or lack of self-confidence (not feeling enough for the task will make you to postpone it, extreme perfectionists can have a similar feeling). It’s connected with impulsiveness, the more you act on impulses the more you tend to procrastinate a planned task, that’s very logical! Planning, impulse control, attention are all rooted in the prefrontal cortex of our brain… it’s very important because an imbalance in this area can reduce your ability to filter out distracting stimuli, resulting in poorer organization, loss of attention and increased procrastination… can you imagine to sit at your desk to do your task and suddendly all the possible distractions come into your mind? This is the reason… and this is something that through yoga we can work on, to gain enough mental strength to be able to concentrate more. Concentration is opposite of dispersion, i’d say that procrastination is a good friend of dispersion, so let’s work on our ability to concentrate and we’ll overcome the procrastinating attitude! If you don’t know raja yoga or tamas and rajas… we’ll talk on them… for the moment take the most important part with you -being aware of-!!! There are many tools to improve your life, maybe infinite tools? Every of them will gravitate under these words -being aware of-!!! Procrastination can be very deep in your way of acting, everything so deep most of times goes on automatic pilot, be aware of it, try to make it become a conscious decision… that’s the way to make a conscious decision to change the pattern, in this occasion or at the next one… first step: BE AWARE OF IT! Anyway to be sure not to miss another workshop because of late booking… i already booked next week’s Vinyasa Immersion with Mimi Kuo-Deemer at Triyoga, see you there!! Today and tomorrow i was supposed to attend an interesting workshop about anatomy under a yoga perspective. I could’t because i waited to book online until this morning at 7.30, on the website there was no cue about being sold out but i couldn’t book, i called and, of course, the course was full… this is the effect of procrastination in your daily life… you have already planned to do something but you procrastinate in taking the necessary steps… procrastination will usually lead to consequences you won’t like… procrastinate to book the flight for your planned holidays and you will see the price going up and up and up! In the traditional sources of yoga (i’m referring now to the Yoga Sutras of Patanjali, verse I.30) 9 main distractions of the mind are listed as main obstacles on the yogic path… if we broaden our point of view we can define them as general obstacles in our life, in our daily quest to obtain results, may them be in our job, sport, relationships, whatever! We can consider them as “wrong” attitudes of your mind, defining wrong as something bringing you away from your chosen/expected goal, obviously we can define right as something bringing you nearer to your chosen/expected goal… just an introduction on the right/wrong argument! 1-Vyadhi: illness/disease, physical or mental. Of course when you have a cold or pain in your teeth you will use them as excuse for not doing your practice. In Ayurveda vyadhi is defined as a state of your body or mind in which they’re subject to discomfort, pain or injury. The fundamental cause is the imbalance between your 3 doshas, vata-pitta-kapha… equilbrium is called health, disequilibrium is called disease, unbalance is the root of all diseases! 2-Styana: apathy, dullness, idleness, mental laziness… leading to procrastination. This is a very tamasic attitude, “i’m tired now, i’ll do it later”, “i’ve something else to do, i’ll do it later”, “it’s not so important, i’ll do it later”, “i don’t like to do it but i have to… anyway i’ll do it later”, “i don’t feel ready to do it, i’ll do it later”… are these words familiar to you? in my case yes, it’s something i’ve to work on, lot of us should work on this… the usual problem in procrastination is that tomorrow never comes… and if it comes, it will be much more expensive than yesterday! 3-Sanshaya: doubt. Of course you will start doubting, on yourself, on your capacities, on what you are doing, on your teacher… doubt is a state in between belief and disbelief, the mind is stuck between two contradictory propositions… the “valley of maybe vs maybe not” is a very dangerous place to stay for your well being! How to overcome doubts? -Theoretically- is very easy, you only need a faith, a certainty that what you’re doing is right, sometimes you only need to take a decision and stick with it! 4-Pramada: indolence, negligence, inattentiveness, carelessness. Pramada will impact the quality of your practice, whatever you do the attention to details is the key to reach a superior performance. Pramada is on the opposite side, moreover it is the factor leading to forgetfulness and again to procrastinate! 5-Alasya: sloth, laziness. Should i add something? Is there any single aspect of your life that can improve through this attitude?? Discipline is on the opposite side! 6-Avirati: it is the constant desire, necessity and craving for wordly objects, you want this and that, those, everything, constantly! This is the root of the non-cessation of your mental and physical activity, always on because always running behind the infinite stimuli coming from outside. 7-Bhranti darshana: misinterpretation, wrong perception. Is it actual nowadays? How many people read a couple of lines in some article in some magazine and build a full cosmogony on that? They become so convinced to know, to have the right understanding that some are even ready to fight for their credences… whatever the magazine was advertising…! 8-Alabdhabhumikatwa: the sum of all the previous… the inability to progress! Often being unable to progress is synonym of being stuck… and being stuck is the prologue for decline… or acquiring the ability to progress! You can’t be stuck forever, something will happen and it will be your choice… up or down? 9-Anavasthitatwani: you got there… but you lost it! This is the inability to maintain your progress. Unfortunately (or maybe luckily!?!?) wherever you’ll get in this world will bring you the responsibility to maintain your new position, be it your new job or your new relationship or the new asana you finally went into, whatever! So? Did you find yourself in any of these? That’s very good, understanding clearly some of the tricks of our mind is a good way to change our patterns for the better. I call them tricks because in a certain way your mind is fighting against you, the mind can be like a drunk monkey bitten by a scorpion… can you imagine its reaction when you try to tame it? Your mind will do everything for not being tamed, you can only keep on doing your practice, day by day, step by step and the results are bound to come, you are bound to success! Let’s give a look on the benefits of yoga on your bones! In a sedentary life or everytime your bones don’t receive enough stimuli they tend to lose strenght, there is a principle always working in our bodies (and more, it’s a kind of universal principle)… use it or lose it! Whatever you don’t use or move or stimulate… it will tend to perish… imagine your car or motorbike or bike or boat… do you use it? well, you will give it some physiological maintenance but it will last for a long time… if you don’t use it and simply leave it there a “decomposition” process will start, the sun, the rain, the wind, nature will break it down in due time… yes, if you protect it in a sterile environment this process will be delayed… but is your body protected in a sterile environment? mmmh… i don’t think so, the “use it or lose it” principle will be applied! In many asanas (yoga postures), specially standing poses, the weight is bearing on our bones in different specific ways and we constantly pull our bones… how? the contraction of muscles generates a force that is translated to tendons, ligaments and bones… this constant action will stimulate your bones to remodel and become stronger… same as muscular training… you use a part of your body and that part, being stimulated, will tend to become stronger… nice equation, isn’t it? Stronger bones means a stronger framework supporting you and obviously a stronger protection for your internal organs… or i could say that your life is more protected when you have strong bones! There are other indirect factors… you need calcium and minerals to support the skeletal system… you get them from your nutrition… yoga on your body will make everything more efficient, so that the nutrients present in your food will effectively be digested, transformed, transported where necessary and assimilated! It’s really important to eat the right food, it’s as much important to have an efficient system that can maximize the effects of the food you eat! Another benefit comes from the action of yoga on your endocrine system, we’ll talk later on this, at the moment consider only the stimulation of your thyroid and parathyroid glands… they secrete hormones deeply involved in bone remodelling, make these glands more efficient and consequently your bones will become stronger! We can’t finish this part without mentioning again osteoporosis, it’s the most common degenerating disease for your bones, specially for women in menopause because of the dropping of estrogen production. Yoga will help you to prevent it… if you have a good bone density when you go into menopause you’ll have much less problems and if you already have osteoporosis a gentle yoga will help you to slow down this degeneration and to rebuild your strength. Let’s talk about our skeletal system! Maybe somebody could imagine our bones as something similar to iron rods, that would be a good reason for our bones to be strong enough to carry and protect us for all our life! Other will think to bones as so strong and sturdy that when we become adult they get the final shape… until in old age they start naturally to break… Reality is totally different! It’s your right humerus, your upper arm bone, at the junction with shoulder joint… looks more like a sponge than an iron rod, isn’t it? In our bones we find the perfect combination of 2 “opposite” qualities, resistance and lightness… they’re strong enough to resist hard impacts and light enough to let us run and swim in a nice way… try this: fill a backpack with 30 kg of additional weight, put it on your shoulders, run/jump/swim/whathever and tell me the difference… if you notice it eheheh!! In a few words there is an extracellular matrix made of collagen and mineral deposits (mostly calcium plus phosphate, magnesium and more) filled by other stuff… including blood vessels, nerve endings, marrow… and i would add some air, at least at an elemental level bones are the mix of earth (that gives the solidity) and air (lightness)… that’s why, talking in ayurvedic terms again, kapha (earth+water) has very good and strong teeth and bones, while vata (air+ether) can have problems in both… too much air my friend!!! – Movement is the combined job of muscles and bones! Do you think that after childhood the shape of your bones is never changing? Answer is NO! There is a constant process going on called bones remodeling, this is evident when you break a bone and it rebuilds but it’s a really always going on process, this fuction is there to let you access easily to your mineral deposits and for the system to respond to new mechanical solicitations, obviously the remodeling is quicker when you’re young but it can change your bones at a 10% per year rate in adult age… do you think it’s not a big amount? It happens through the combined job of 2 opposite forces (again!!! )… osteoclast cells open the matrix (so you can access to your deposits) and osteoblast cells are responsible for new bone formation… an unbalance between the 2 is the root of bone diseases as osteoporosis… too much osteoclast-catabolyc power releases the calcium but there isn’t enough strength on the other osteoblast-anabolyc’s side to balance, you breakdown more than you build and the bones become narrower and easier to break. -> as result you’ll be able to work at a very deep level on the shape of your bones, the shape of your body, your posture and everything connected! Here some links to deepen these informations, some are very technical!